Alexander McLeod (1773 - 1833) was a man of character who took a strong stand against the inhumane slavery of fellow human beings. 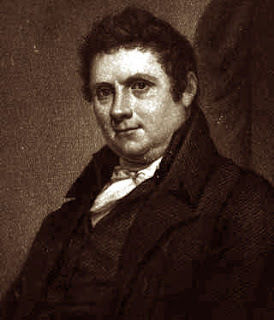 Covenanter.org has this brief biography of Alexander McLeod, who was clearly a conservative theologian and a man of respectability. He was no liberal wolf in sheep's clothing seeking to lead folks astray with unbiblical anti-slavery propaganda. 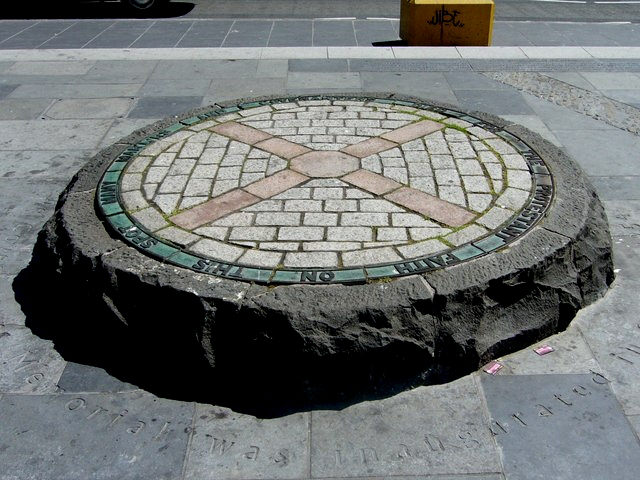 Born in the Isle of Mull, Scotland, June 12, 1774. His father was a distinguished minister of the Church of Scotland. He came to America, by way of Liverpool, England, in the spring of 1792. Soon after his arrival in New York, he moved up the Hudson to Albany, then to Schenectady, New York. At the establishment of Union College, he became a student and graduated with honour in 1798. He joined the Covenanter Church in Princetown, New York, under the eminent James McKinney. He studied theology under his direction, and was licensed by the Reformed Presbytery, at Coldenham, New York, June 24, 1799. In the fall of 1800, he was called to the pastorate of Coldenham and New York, but he declined because there were slave-holders among those who signed the call. The matter was brought before Presbytery, which court enacted, without a dissenting voice, that "no slave-holder should be allowed the communion of the Church." During 1830, he travelled to Europe for his health, and returned much improved. Whilst absent, he was elected Professor of Theology, which position he occupied until his death. He died at his New York residence, February 17, 1833. THE Author of this Discourse had a call presented to him, in November, 1800, to take the pastoral charge of a congregation in the county of Orange, in the State of New-York. He perceived among the subscribers the names of some whom he knew to be holders of slaves, He doubted the consistency of enslaving the Negroes with the Christian system, and was unwilling to enter into a full ecclesiastic communion with those who continued the practice. He hesitated to accept the call; but took an early opportunity of writing to the Elders of the Church, and of intimating to the Presbytery his sentiments respecting slavery. The Reformed Presbytery has judicially condemned the practice, and warned their connections against it. 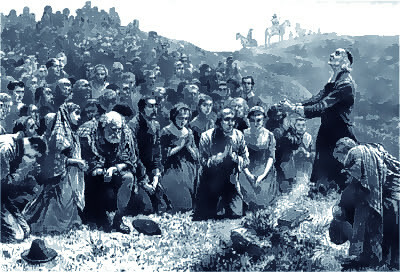 This produced an additional evidence of the force of Christian principle, It triumphed over self-interest; and, in several parts of the United States, have men sacrificed, on the altar of Religion, the property which the civil law gave them in their fellow men, There is not a slave-holder now in the communion of the Reformed Presbytery. A sense of duty determined the author to commit this Discourse to the press. In the publication of it he has particularly in view the instruction and establishment of those inhabitants of Orange who have placed themselves under his pastoral care. Through them he addresses all into whose hands the Discourse may come. Exodus 21:16. He that stealeth a man, and selleth him, or if he be found in his hand, he shall surely be put to death. GOD is omnipotent. His omnipotence is necessary, and independent of every other being. He is the source from which all power flows. Whatever physical force can be exerted by man, is derived from his Maker. In the exercise of natural power man is under a law to God. He is indeed a free agent; but the divine law circumscribes his sphere of action, and marks out boundaries which he cannot pass with impunity. To exert his natural powers under the direction of law is right: to exercise any powers derived from God, contrary to his declared will, is wrong. Whatever is included in the grant God has made to the human family, is one of the rights of man; and beyond this grant, contrary to God’s law, man cannot claim a right, until he shakes off his dependency, and elevates his own authority until it become paramount to that which is exercised by Jehovah. Whosoever attempts to deprive any of the human family of the former, or put him in possession of the latter, is guilty of treason against Heaven, unless he is expressly commissioned, in this particular instance, to contradict the general principles of law, by the same great authority from which the law derives its binding force. He who, without this authority, breaks over the barriers of law, and, with physical force, deprives his neighbour of liberty or property, is an enemy to God and to man; much more so he who commences an unprovoked attack on any of his fellow men, and, with lawless power, steals him from his connections, barters him for some other commodity, or forces him to labour for the benefit of another, and that other an enemy, who has committed, or countenanced the commission of the theft. The divine law declares this a crime, and prescribes the punishment. He who stealeth a man, and selleth him, or if he be found in his hand, he shall surely be put to death. This law was given to the Hebrews as a body politic; but it proceeds on a moral ground, and is, consequently, obligatory still on every subject of moral government. He who acknowledges the morality of the eighth precept of the decalogue, will not require another proof of the morality of the conduct recommended in the text. If he who steals my purse, my coat, or my horse, be guilty of an immorality, he cannot be innocent who robs me of my father, my brother, my wife, or my child. Against this principle an inspired Apostle directs his argument, in his Epistle to Timothy. 1 Tim. 1:9. Knowing this, that the law is not made for a righteous man, but for the lawless and disobedient—for MAN STEALERS—and if there be any other thing that is contrary to sound doctrine. Man stealing is classed with the most detestable crimes. It is considered not only reprehensible among the ancient Hebrews, but a moral evil, in every age, and in every nation. The practice of buying, holding, or selling our unoffending fellow creatures as slaves is immoral. The text will certainly support this proposition, According to the common principles of law, the receiver of stolen goods, if he know them to be such, is esteemed guilty as well as the thief. The slave holder never had a right to force a man into his service, or to retain him, without an equivalent. To sell him, therefore, is to tempt another to sin, and to dispose of that, for money, to which he never had a right. The proposition does not militate against slavery under every form. By no means. A man, by the abuse of his powers, to the injury of society, may forfeit liberty, and even life: He may deserve slavery in the fullest sense of the word, in order that his punishment may be a sanction to the law—may be an example to others—and may compensate, as much as possible, for the injuries done to society. By "innocent fellow creatures," in the proposition, it is not designed to teach that any of the human race is so in relation to the divine law: it is not to be understood in a moral, but in a political sense. As the subjects of Jehovah’s government, we are all guilty, and deserve to perish. We have merited eternal imprisonment from him. But, in relation to civil society, men are deemed innocent unless they have violated its laws. These are assuredly entitled to personal freedom.